I remember reading these lines somewhere long back. And they seem to have stuck on to me. I really feel that the trees are shaking their arms, and when it rains hard, stretch out their beautiful arms for those getting drenched. I love how little flowers have those tiny droplets of the purest water on them, which birds love to enjoy. Oh! 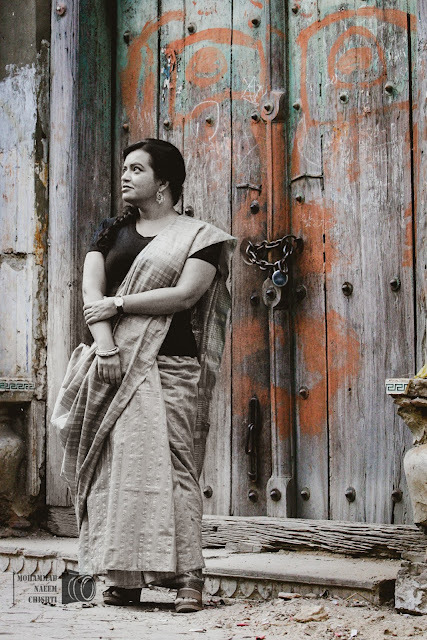 I so very love the rains. And we have been having it here as the pre-monsoon showers from the last two days. While I prefer coloured liners in pencil form, black has to be either liquid or gel. 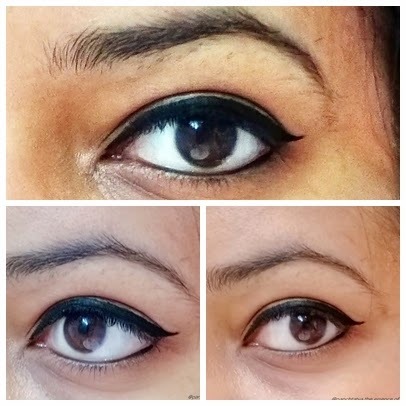 Infact, ever since I tried gel liners and loved the matte finish they give, I want my black to be a gel liner only. 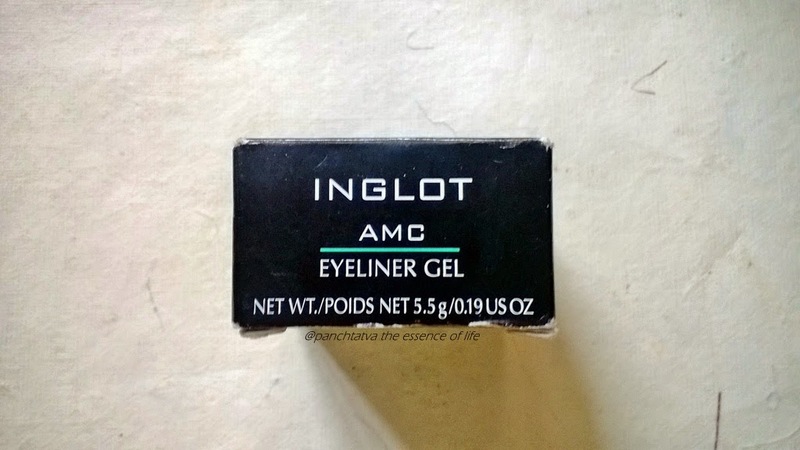 And my search for a lovely one ended with a popular gel eye liner from Inglot. 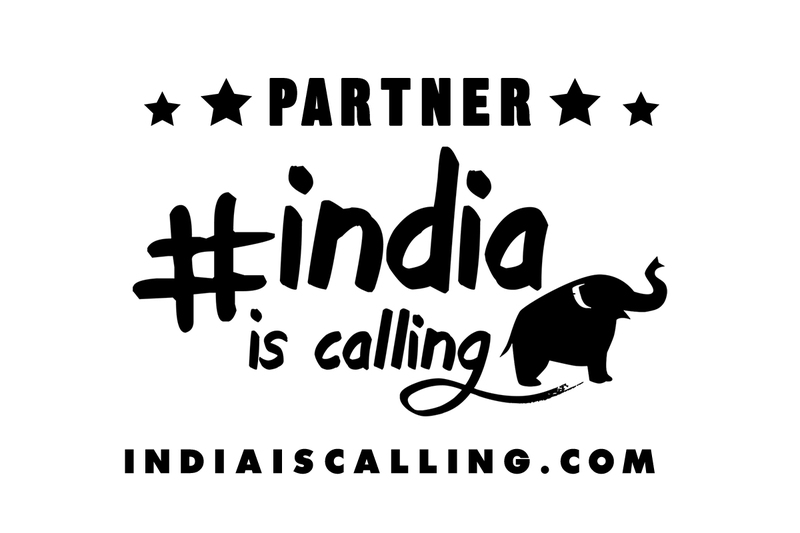 The brand offers awesome products at a very reasonable price and the quality is superb. Inglot Stores in major cities and online through majorbrands.in. 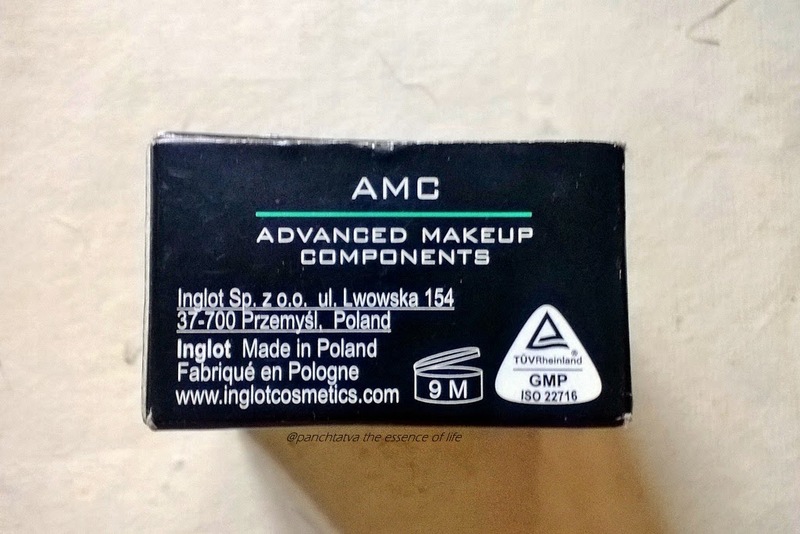 The Inglot Matte AMC Eyeliner Gels is housed in a small plastic tubs which is really travel friendly and looks very cute and classy as well. It has a black screw-on cap, which fits in well. However, there is no applicator provided (Maybelline and Loreal have spoiled us with those cuties). I use my Audreys liner brush and Maybelline brush with it. The outer cover has all the details of the ingredients and the other knick knacks. 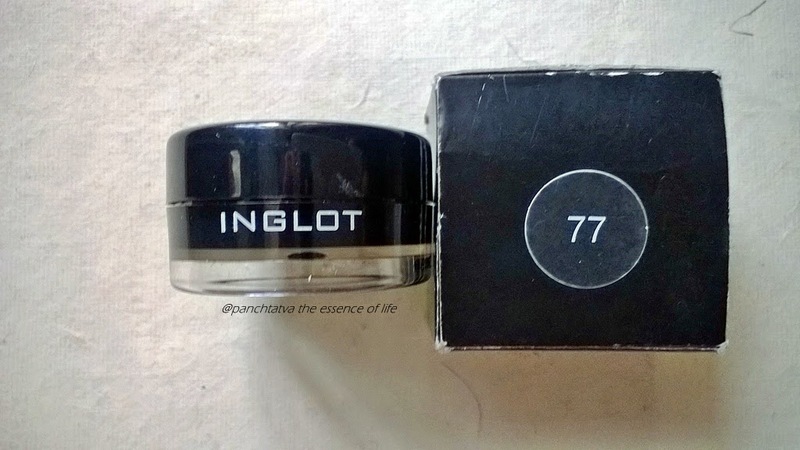 The Inglot gel eyeliner #77 is a very soft and creamy gel liner, which is easy to apply. However, it dries up pretty fast so one needs to apply it using small stroke for perfection. Once dry, it goes completely waterproof and smudgeproof for over 8 hours. I have applied it on waterline as well with absolutely no issues at all. So I believe its waterline safe also. Above all, its paraben free and not tested on animals. The pigmentation is awesome and it’s a deep matte black which makes your eyes look awesomely gorgeous. I have seen people with oily lids also getting a good wear time out of it. 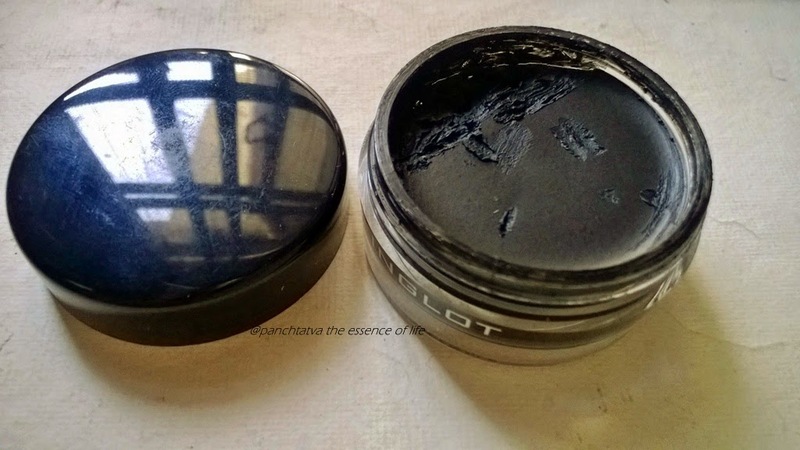 Jet black shade which is highly pigmented. Long wear time without creasing or fading. Smooth texture, easy to apply and create shapes. Quite economical compared to MAC and other similar brands. Separate brush is needed for this. Can dry up if care not taken. 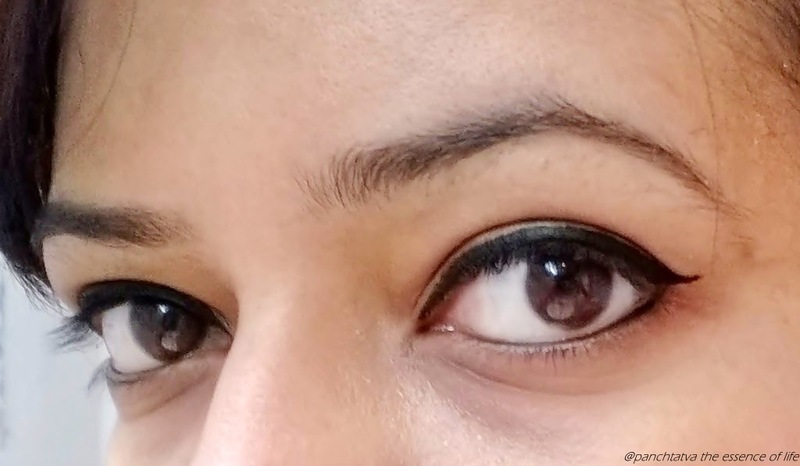 PEL SHOUTS : Eyes that speak and eyes that can create a thousand stories, the Inglot AMC gel liner in #77 is just the perfect ink to write those stories and give them words. Have you tried the Inglot Matte AMC Gel Eyeliners ? What are your favourite shades ? wow! This is so very pigmented...I am loving how black it is..Very Pretty EOTD Babe! Wow! This is quite pigmented!! Is it darker than the Maybelline and Loreal gel liners?